Pick & Grin Is This Our Last REAL Christmas Tree? Pick: Did you ever notice that everyone is happy and smiling putting up the tree before the Christmas holiday, humming Christmas carols the whole time, but taking it down is another matter? Grin: Whatever do you mean dear? Pick: Well, here I stand on a ladder taking down the ornaments, while you yell out the NFL Playoff Game Schedule from your chair. Grin: OK, OK, I’ll get to work with you. Pick: Thanks, hon. By the way, do you think this should be our last year with a real tree? All of our friends have the artificial trees with lights and ornaments still on from last year. 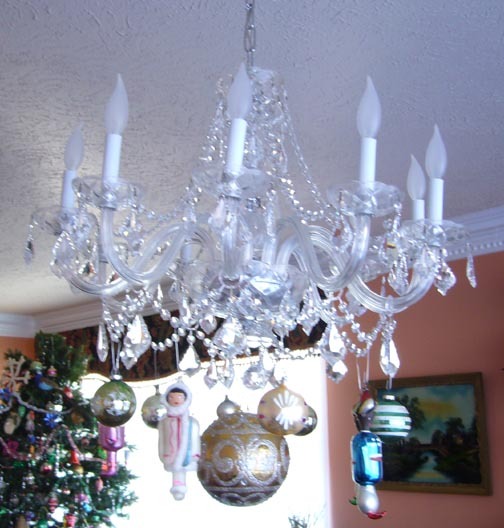 They simply pull it out of the attic, tweak the lights and add a few ornament that might have fallen off. And they are done! We, on the other hand, have box after box of ornaments and strings of lights that need to be taken out and arranged on the tree. Grin: Well, then there is the shopping for the tree. We have come a long way toward doing a better job of that. When the girls were young, we’d go a week before Christmas in the cold, snow and windy weather. There was one year we all sat in the car and simply yelled to the tree attendant – Yes, that’s the one! And he loaded it onto the top of the car. Not until we got home did we notice how crooked it was and how one side was virtually bald! At least we now go earlier and try to choose a dry, not-so-cold day! Pick: Ah, that does bring back memories of our ‘lesser trees.’ Remember the year we had to wire it to the window sill so it would not tip over. I think that was the year my brother teased us mercilessly about it! Grin: I also remember your brother’s delight when we put the tree out front. Remember, it was actually just the trunk and four or five branches remaining from our wreath project. We set it out by the door with two ornaments on it – sort of like Charlie Brown’s little tree! He howled over that one! Grin: Are you sure they weren’t talking about me after all the holiday treats – ha! Pick: Very funny. But back to the tree. It does smell good in the house. I recall a friend’s son in law running over to her artificial tree and exclaiming “Gee, it smells like dust!” I don’t think I want that experience. Grin: I agree with the great pine scent, but that comes from the millions of needles! Check out the extra scent-makers on our floor. They will make a long trail out onto the porch, down the sidewalk, down the driveway and to the curb where it will rest for a week or so until the city picks it up. We’ll be vacuuming needles until at least Easter! Grin: But think how nice it would be to just go up to the attic and drag the completed tree down, lights, ornaments and all. No boxes! Pick: Well, that’s not true, I would still pack up the ‘special ornaments’, and tree-top angel (that’s my mother’s) just to keep them secure. Grin: So let me get this straight. You still like the smell of the tree, we would not gain any room in the attic because a tree takes up a lot of space and there’d still be lots of boxfuls of ornaments, plus you like the memories of a real tree, right? Pick: Well, once again you have convinced me that a real tree is the way to go. We don’t have to make a decision right now, we can wait until next year, about a week before Christmas. Grin: Well, here we go again. Let’s get back to work, only 11 more boxes to pack up! 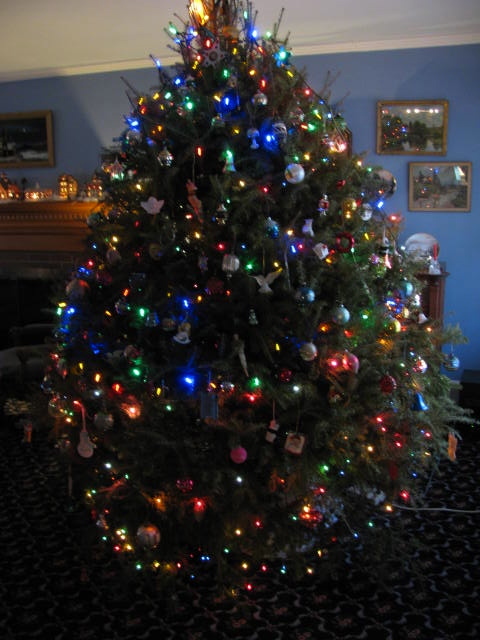 Posted on January 7, 2012 Author AntiquipsCategories Home & Hearth, Parlor & Living Room, Seasonal & HolidaysTags Christmas, Christmas ormiments, Christmas trees, holiday decorating, Lights1 Comment on Pick & Grin Is This Our Last REAL Christmas Tree? Unpacking delicate vintage glass ornaments, untangling glowing orbs of flickering light, placing winter village scenes just so, divided camps of garland vs tinsel, and don’t forget the tradition of tree topper placement. Some believe less is more (those weird freaks! ), and others (like me!) believe holiday is the time of year to go all out. But no matter what our design style, we all deck those halls. We decorate our homes in the right fashion & in the established order as dictated to us by tradition. And by “tradition” I mean the stuff that mothers and wives say. We women get away with all of this for many reasons. After all, it’s usually the women who rule the roost, so it’s we who decorate the roost. We choose between real & artificial trees. We direct the placement of the tree – based on the ability of it to be best seen by those inside & outside of the home, with a dose of practicality to household traffic pattern. We tend to be the ones with the largest collection of ornaments, ceramic villages, and other family historical objects & know the importance & lore of each object as well. Women tend to be the keepers of family history. The story keepers. We remember whose ornament is whose, the when & why, and we need to balance the old memories of our ancestors with the newer stories of our own families. Not only do we remember the stories, but we also, and this is perhaps the most important part of it all, we share those stories. And in order to share those stories, we know that there must be proper placement. For how else can we bring up the funny stories of ice skating gone bad, if the winter pond scene isn’t displayed? 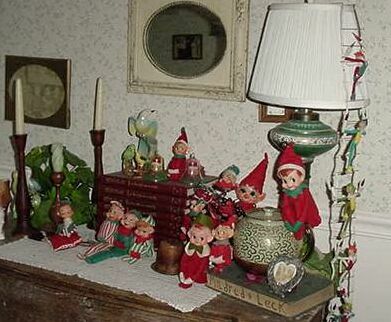 How can we discuss the history of Uncle Marvin’s elf collection, if the elves are not displayed properly? 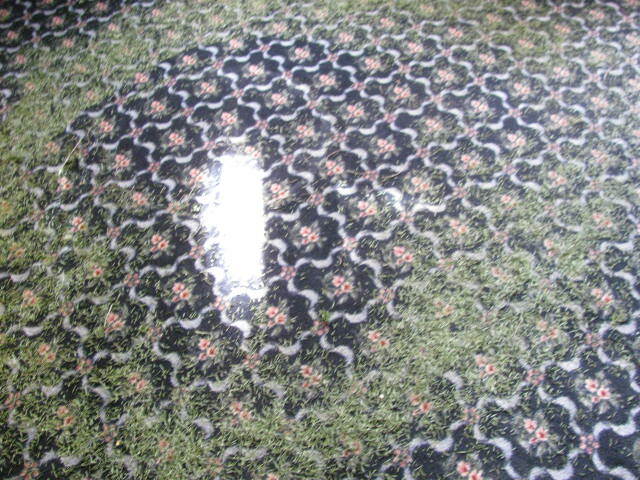 Without seeing great grandma’s tree skirt, no one can mention how lovely it is, and then we might forget to tell the story of her first Christmas in America. The physical placement of objects & ornaments is directly tied to our oral traditions. So it seems only natural that at the holidays, a time of family & tradition, that women give all the dictation on the decoration. This goes here, that goes there, use the angel – not the star, just a little more to the left please. More lights, less lights, all white lights. If you don’t want the oral tradition to include the tale of the year there was no presentation of Marvin’s elves (a story to be repeated each & every year), you’ll just carry & tote, move & remove, then, yes, then get out of the way & let her do her holiday thing. Now please bring down those other 8 boxes marked ‘Holiday’ from the attic, honey – we must begin to set up the Winter Wonderland on the console table behind the couch (which will now have to be moved to better appreciate the view of the tree). Everything must be just so. And some folks already began in October, so we are late.